As WPeka grows, number of topics we cover will also grow and the way readers access to our content. Some readers directly visit the site on regular basis while some savy people follow the blog through various channels such as newsletters, RSS feeds, social media platforms like Facebook, Google+, Twitter, etc. If you want to join the savy list, you can do so by subscribing for email updates or following us on various social media sites. You will find the signup form and social media icons on the right sidebar of the page. Since there are so many ways, it is better to explain each a little in detail. If you are someone who likes to read and follow various websites then you must be know about RSS Feeds. Let’s take a look at how you can follow WPeka on different RSS readers. Feedly is a news aggregator application that run on various web browsers and mobile devices. It has browser extensions for Chrome, Firefox and Safari and has mobile apps for Android and iOS. It is one of the best RSS feed reader. If you are not interested in installing the extension or the app, you can still access it using Feedly website. 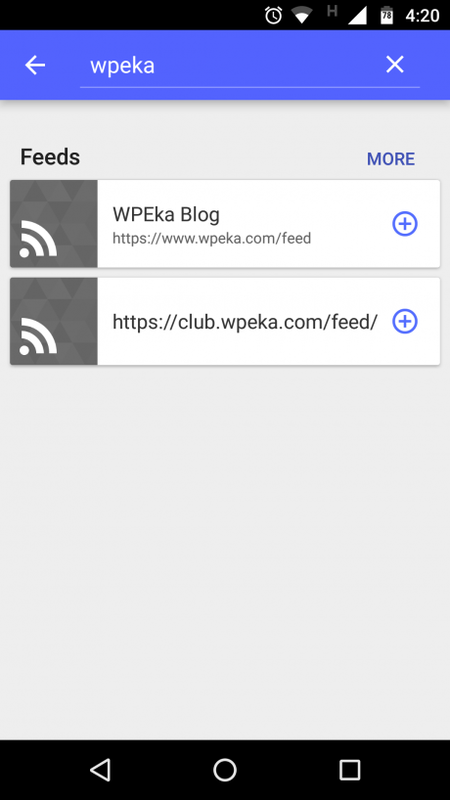 To add WPeka on Feedly, simply search WPeka in the search bar and press enter. Now you will be redirected to WPeka Feedly page. Here you will see a green ‘+feedly’ icon. Click on the button and add us to a list. Google Play Newsstand is an Android app that allows you to discover news and other important updates at one place. With Newsstand you can even read news offline if you’ve bookmarked the news article. If you want to subscribe to WPeka Google Play Newsstand news, then you need to search WPeka by clicking on the search icon in the app. By clicking on the + icon against the first result, you’ll be subscribed to the feed. YouTube is one of the best channel to watch videos. We publish video tutorial on our YouTube channel. You can subscribe to our YouTube channel by clicking on the subscribe button on our channel page. We hope you like the content on WPeka and thanks for subscribing.